Stock 192750 | Offer includes $2,000 lease cash. 10k per year lease. Offer to Highly qualified buyers that finance through Audi Financial. 39 months lease. Based on an MSRP of $58,190. Offer doesn't iinclude tax, title or dealer fees and must take delivery from dealer stock by 4/30/19. 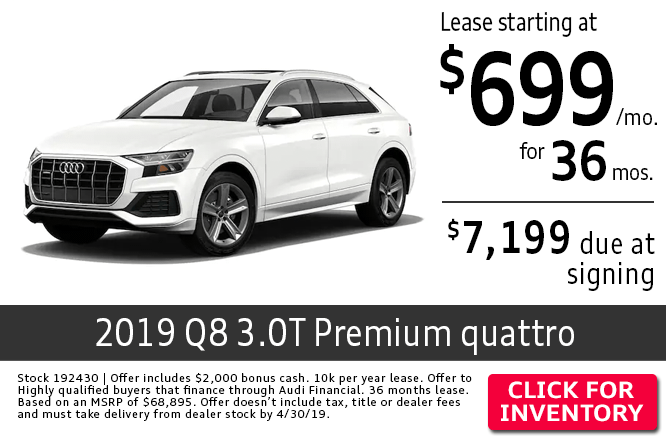 Stock 192083 | Offer includes $1,250 lease bonus. 10k per year lease. Offer to Highly qualified buyers that finance through Audi Financial. 39 months lease. Based on an MSRP of $47,625. 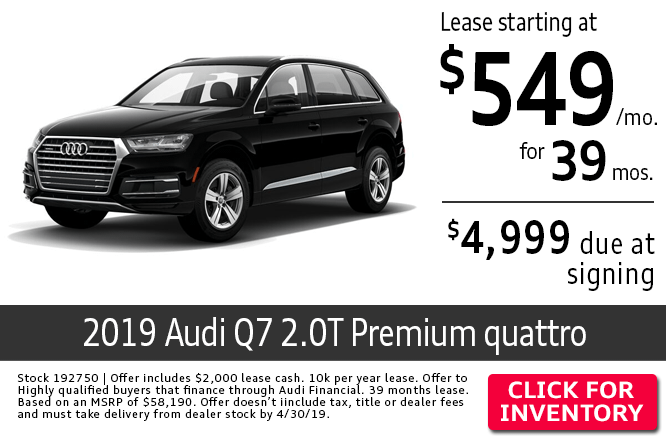 Offer doesn't include tax, title or dealer fees and must take delivery from dealer stock by 4/30/19. Stock 192430 | Offer includes $2,000 bonus cash. 10k per year lease. Offer to Highly qualified buyers that finance through Audi Financial. 36 months lease. Based on an MSRP of $68,895. 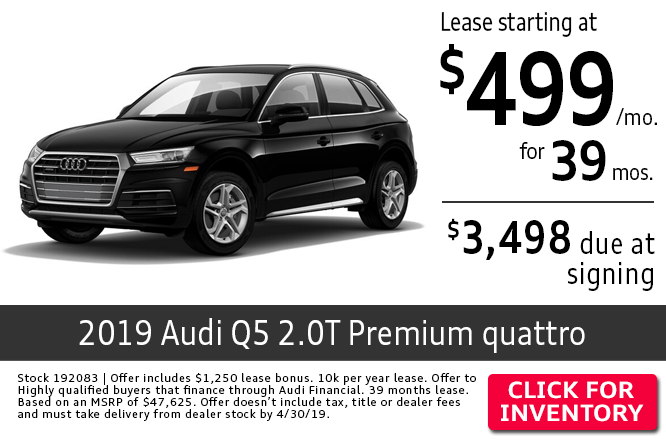 Offer doesn't include tax, title or dealer fees and must take delivery from dealer stock by 4/30/19.